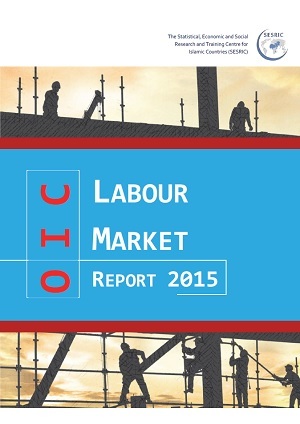 The first section provides detailed information about the structure of the labour market in OIC member countries. In general, it is found that labour force participation rate, employment to population ratio, share of employment in services sector, share of labour force with tertiary education are lower, but female unemployment rate, share of vulnerable employment, share of employment in agriculture, inactivity rate, and share of labour force primary education are higher in OIC countries compared to other developing and developed countries. The second section focuses particularly on issues related to skills development for enhanced employability. According to the Report, basic education, initial vocational training and lifelong learning are three major components of skills development. Further skills development can be achieved only with good-quality basic education. Moreover, for lifelong employability, new opportunities should be constantly provided to working people in order to periodically update their skills and learn new ones. The third section focuses particularly on issues related to job creation and youth. In OIC countries, the unemployment rate of youth is more than three times that of adults. The challenges for youth do not stop at the high unemployment rate but extend to include the limited availability of quality jobs and a tough transition process to the labour market. In the majority of the OIC countries investigated in this report, youth are poorly paid and are engaged in informal employment. Also in some OIC countries, a significant share of youth is in irregular employment, reaching in some cases to alarming rates of 80% and higher. Furthermore, skill mismatch is considered as a serious problem in many OIC countries. Section four of the report focuses on social protection and occupational safety and health issues. Social protection programs protect individuals against the adverse effects of labour market changes caused by external shocks. Social protection programs consist of social insurance, social assistance as well as labour market programs. In terms of occupational safety and health, the Report states that appropriate legislation and regulations, together with adequate means of enforcement, are essential for the protection of workers’ safety and health. Section five investigates participation and migration in labour markets in OIC member countries. The section discusses the measures for specific groups in order to increase their participation into labour force. This section also elaborates on the labour migration topic, which is another important factor that affects labour markets in several ways from employment to wages. The Report provides policy recommendations based on the analyses in five sections in the context of OIC member countries.